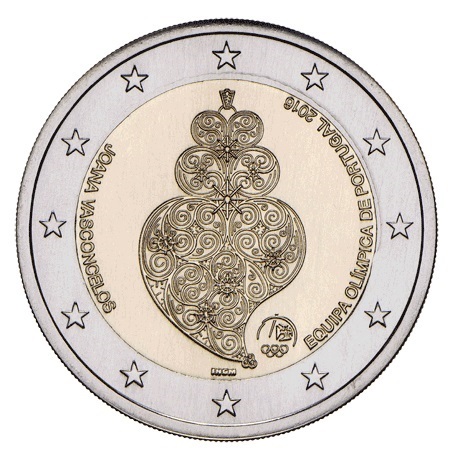 The design shows an image based on the well-known artwork ‘Heart of Viana’, signed by the author Joana Vasconcelos, which was inspired by traditional jewellery from the north of Portugal (the area around the city of Viana do Castelo). It symbolises the Portuguese people’s support for the national team on the occasion of the Olympics. 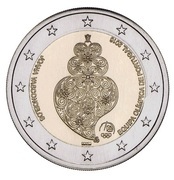 At the left and the right, in semi-circle, are the inscriptions ‘JOANA VASCONCELOS’ and ‘EQUIPA OLÍMPICA DE PORTUGAL 2016’, respectively. 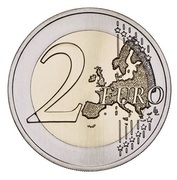 At the bottom is the mint mark ‘INCM’. 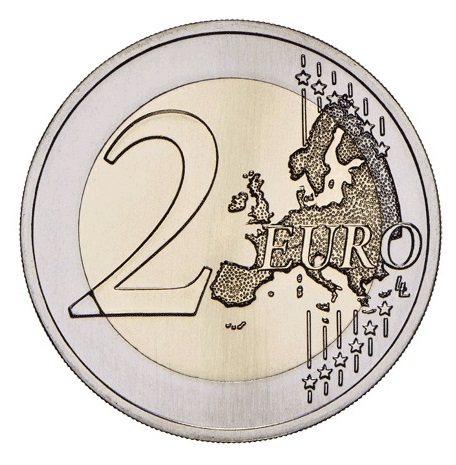 The coin’s outer ring bears the 12 stars of the European Union.